Great to receive this from Aaron, a first mailing! I see that Aaron is the illustrator for this poem. 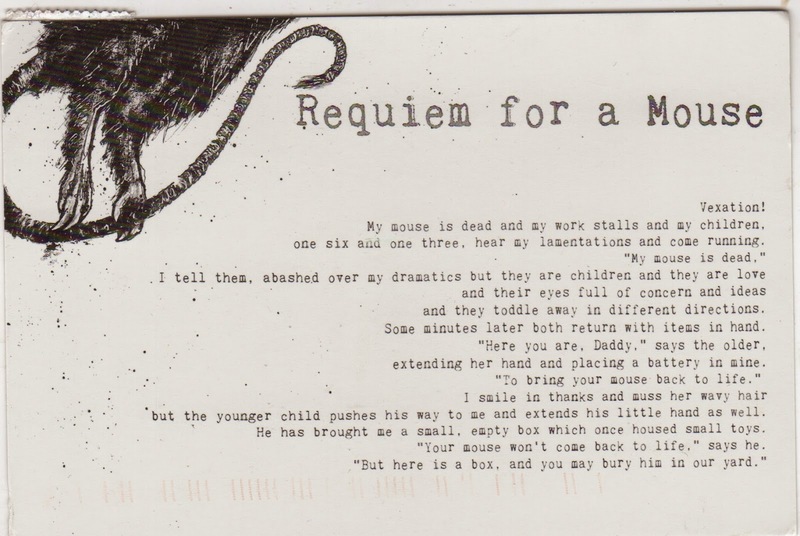 Both poem and piece of mouse impress me! 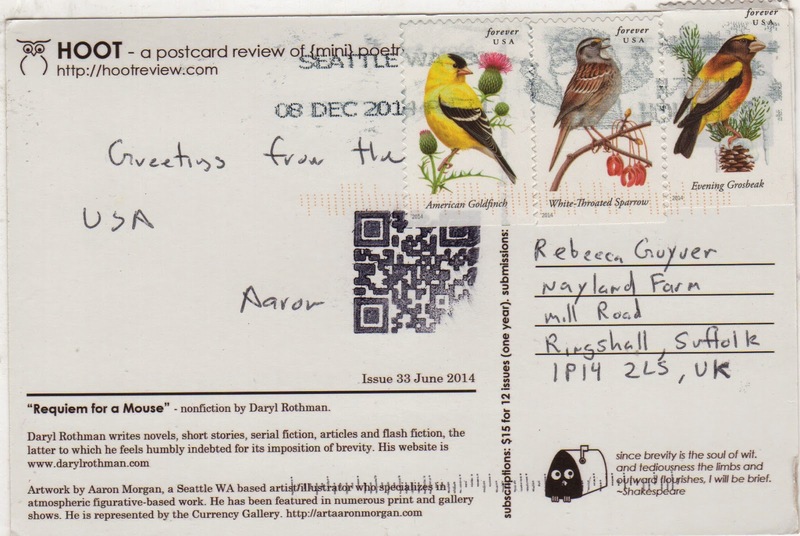 Many thanks and hopefully 2015 will expand and I will have more time for mail art!